Elliott Puckette, who was one of the Zero + Maria Cornejo 15th Anniversary artists, collaborated with Maria on this custom jacquard for the Pre Fall 2017 collection, inspired by one of Elliott's graphic yet organic line paintings. 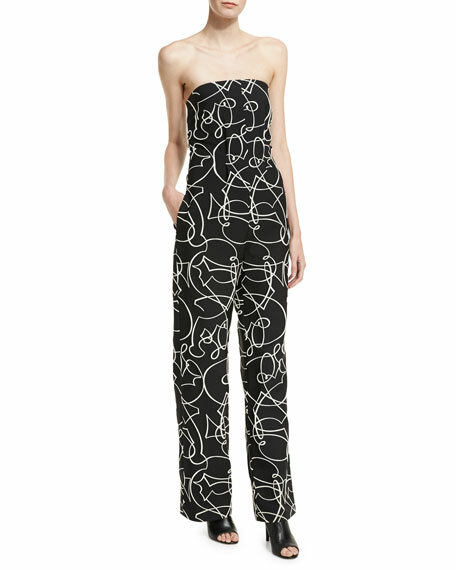 Zero + Maria Cornejo jumpsuit in jacquard, inspired by Elliott Puckette's graphic yet organic line paintings. Nips in slightly at waist. Made in the USA of French material. 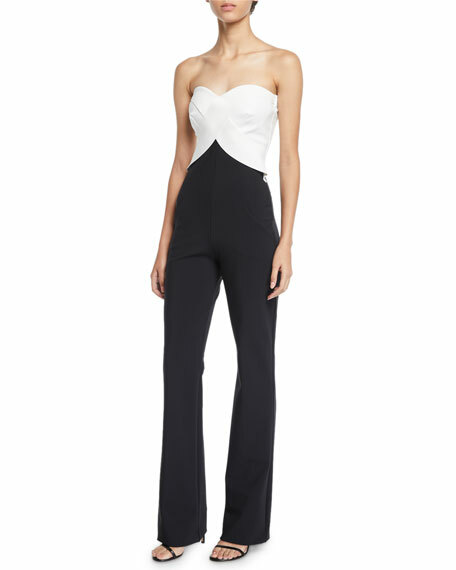 Model's measurements: Height 5'11"/180cm, bust 31"/79cm, waist 24"/61cm, hips 35"/89cm, dress size US 2. For in-store inquiries, use sku #2189432. 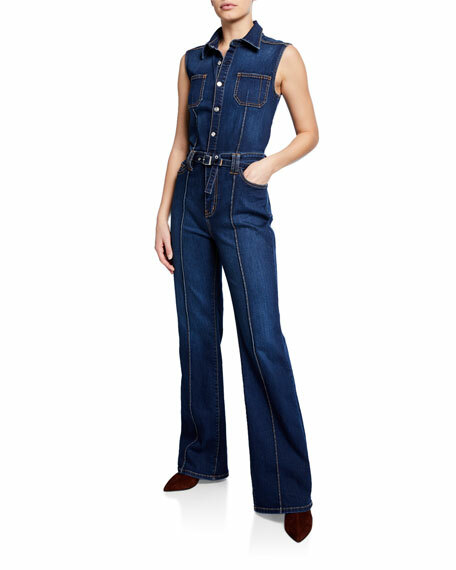 Current/Elliott "The Zenith" denim jumpsuit. Spread collar; button front. Sleeveless. Seven-pocket style. Zip fly; belt loops. Belted waist. Center seams. Wide legs. Full length. Straight hem. Cotton polyester/spandex. Machine wash. Imported. 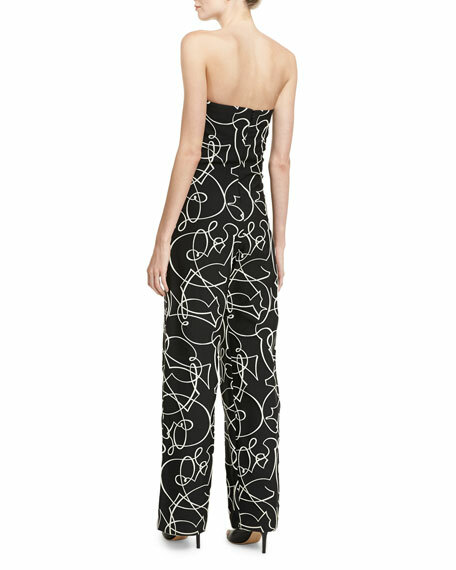 La Petite Robe jumpsuit in stretch jersey with cutout illusion at chest. Strapless neckline. Sleeveless. Fitted bodice. Side slip pockets. Fitted through thighs. Legs flared from knees. Full-length hem. Raw-edge hem for ease of tailoring. Nylon/spandex. Made in Italy.